Full service venue for weddings, social events, and conferences. Updated ballroom seats up to 180 guests and overlooks Georgian Bay. guest rooms for any occasion. Contact us to find out how we can assist with your next event! Book your special ocassion or business conference at Cobble Beach. 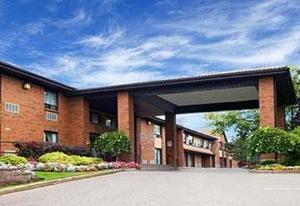 The Inn provides one of Ontario's finest waterfront venues. for a picture-perfect ceremony, memorable reception or executive retreat. Call for details on how we can make your event one to remember. Sound is conveniently located close to all the major events and wedding venues. service. 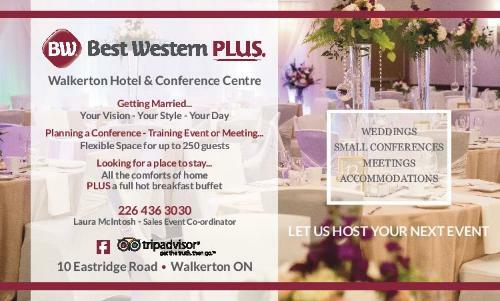 Please let us accommodate your guest for the special day. Historic bed and breakfast in Markdale, Ontario. Ideal for smaller outdoor weddings and events. Four elegantly appointed rooms. All with private or en suite baths. 14 room Country House Hotel overlooking Walters Falls. There are 15 deluxe guest rooms, each well-appointed with private baths & Queen beds. The renovated fully-equipped meeting room has lots of natural light. happy hour with appetizers, complimentary wine and beer with dinner.